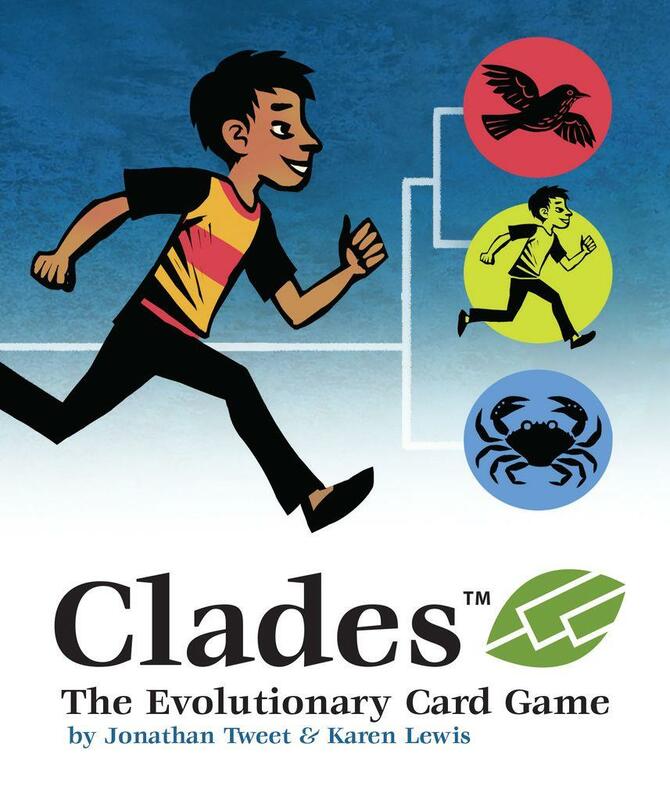 A "clade" is a branch of the evolutionary family tree such as mammals, arthropods, and sauropsids that are thought to have evolved from a common ancestor. 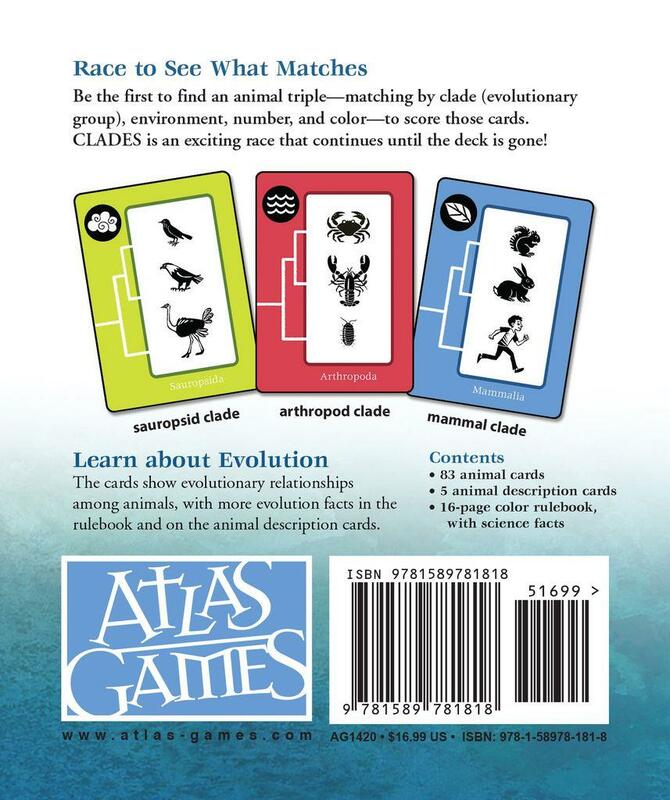 In Clades, players must quickly scan an array of cards on the table — along with their own private card — to make triples as quickly as possible. Whoever spots the most triples wins.